In his first book Heretics to Heroes: A Memoir on Modern Leadership, Cort Dial proves that peak business performance is achieved by not by stifling humanity, but by embracing it. 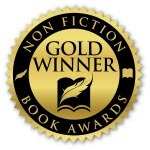 A hybrid of personal narrative and eye-opening manual that spans gritty chemical plants, the deserts of the Middle East, exclusive C-Suites, and more, Heretics to Heroes introduces a new framework for inspiring and influencing others called All-In™ Leadership. 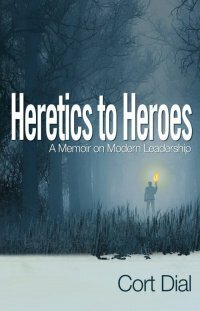 As provocative as it is practical, Heretics to Heroes reminds readers that history’s greatest men and women were once seen as heretics. For 30 years, Cort Dial has asked tough questions and delivered raw answers to leaders of some of the world’s most powerful companies. By guiding individuals through frank self-evaluation, personal change, and the pursuit of extraordinary performance, Cort creates All-In™ Leaders, high achievers who recognize the power of human connection. The Austin, Texas-based performance coach is an inspiring speaker and facilitator of corporate events that disrupt stale processes and push entire organizations to rethink how to understand their business, motivate their people, and create better results.